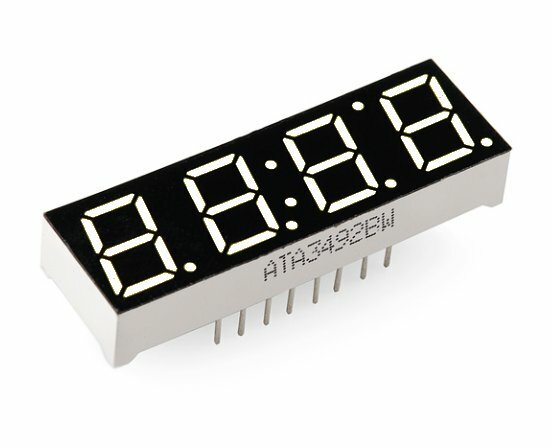 Here is a simple example of how to connect up a 4-digit 7-segment display to the Arduino UNO board and make a countdown timer. The display starts at a predetermined value and counts down every second. Wiring connections are listed in the Arduino Sketch which is shown below. and we meet someday (Beerware license). without the use of current limiting resistors. be ok, but be careful editing the brightness values. //That's a ratio of 1ms to 16ms or 6.25% on time (PWM).